I really need to start to watch popular music videos, because I haven't seen this yet. This is literally the first time I have seen this music video, which is quite a surprise considering how popular the song is. I'm not sure what to make of this at all, I'm not really a fan of either artist and so that usually puts a slight judgement on to my review, same goes for the song itself which I'm not so keen on. This backdated review is a Chart Mondays, where Ed Sheeran with "Perfect" remains on the top of the UK chart, hence why I'm reviewing this song since it's in the Top 10 on this backdated date. 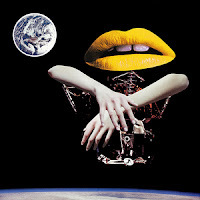 Watch Julia Michaels sing this song in various places whilst an editing technique allows it to run smoothly, with Clean Bandit appearing throughout, in this music video for "I Miss You". Clean Bandit are a three-piece instrumental group consisting of Grace Chatto, Jack Patterson, and Luke Patterson. They are the biggest British instrumental band in the country and they collaborate with other artists so that there are vocals on the songs. They've had a number of hits and every single release pushes their stamp further into the music industry. They are seriously unstoppable completely. Their second studio album is planned to be released in the early months of this year, so surely that means very very soon. This is a collaboration with well-known songwriter-turned-popular-singer Julia Michaels. Her song "Issues" became a smash hit around the whole world; since then, she hasn't lived up to that track until this one came along. She's definitely one to watch considering her amazing back-catalogue of songwriting hits. This track was written by Julia Michaels, Jack Patterson, and Grace Chatto. Directed by Jack Patterson & Grace Chatto, this music video is flat-out iconic, purely because of the amazing editing techniques used. It always surprises me that their visuals are self-directed because they manage to nail it every single time. We watch Julia Michaels walk along train tracks before switching to a desert scene that continues her path with layer upon layer between the two. It looks like they had complete fun filming this. My problem is that they're all dressed in red, making Julia Michaels look like she's a part of Clean Bandit as if she's the lead singer or lead vocalist or frontwoman of the group - this is not what we usually expect from a featured singer. Overall, there's not a lot to comment on, I'm not so keen on Grace Chatto's outfit, it looks like it's been teared up. Otherwise, both artists nail the performance, giving it all they've got and allowing the viewers to be captured from the very first few seconds, but it doesn't really relate to the song and it doesn't allow any depth, only layers. I do admit, Julia Michaels looks amazing when she's on top of the piano.